I have visited Vienna many times and there are so many sites (and good places to eat) in Vienna that you need to spend at least a week to see them all. 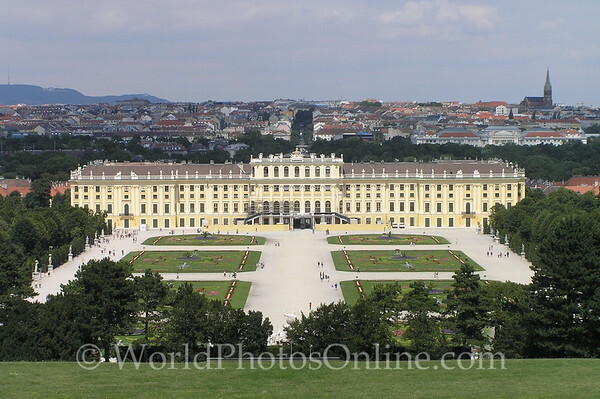 Vienna is Austria capital and was the capital of the Austro-Hungarian Empire until the end of World War 1. The Habsburg Dynasty were the rulers of the Austro-Hungarian Empire and the Hofburg is their former imperial palace. I would recommend visiting the Hofburg as there are tours of the imperial apartments, Imperial Silver Collection and the Sisi Museum. The Habsburg Crown Jewels are on display in the Treasury which is nearby as is the Habsburg crypt. Other major tourist attractions include the fantastic Schönbrunn palace and gardens, St Stephan’s Gothic Cathedral, the Prater amusement park (with its huge Ferris wheel), and the Spanish Riding School with the Lipizzaner horses. There is the Belvedere which consisting of two Baroque palaces (Upper and Lower Belvedere) set in a Baroque park landscape including decorative tiered fountains, and sculptures. There is some unique architecture by Friedensreich Hundertwasser (work is comparable to Gaudi) that is also worth a look and that is just a start. Stop at the Sacher Hotel for a taste of the famous Sacher Torte (a little dryer than I like my cake, but good) or spend some time at any coffee shop and watch the world rush by over a cup of Viennese coffee.